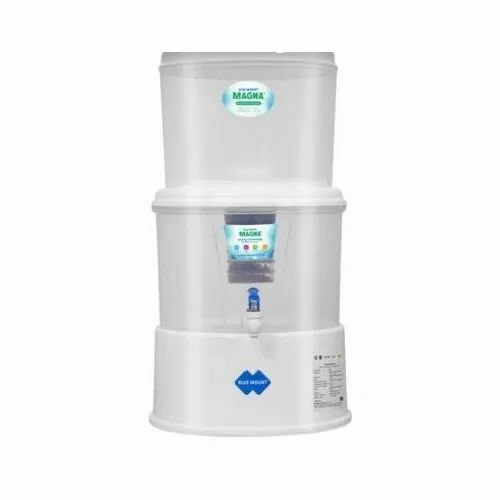 To supply the ever rising needs of our customers, we are occupied in offering a wide range of Blue Mount Gravity Mineral Magna Plus Water Purifier. Activated carbon+ sediment cloth + pH + minerals. All combined in an excellent fashion, make water free from suspended and chemical impurities, sediments and microbes to a certain level. No chemicals such as chlorine, bromine or iodine are used for purification of water unlike other water purifiers, thereby making water safe and healthy for consumption. Established in the year 2012, Shivkrupa Enterprises is the leading Wholesale Trader and Retailer of Ro Water Purifier, Industrial RO Water Purifier and Industrial Exchange Water Plants. Immensely acclaimed in the industry owing to their preciseness, these are presented by us in standard forms to our clients. These presented by us in various provisions, these are inspected sternly to retain their optimum quality.